I really wish there were a better way to buy Liberty fabric in the US other than off eBay. I mean, eBay works, but occasionally you want to buy a certain number of yards, not just whatever they happen to have cut. And they tend to concentrate on the classic florals and not the wacked-out modern stuff I am drooling over. Oh, my first-world problems, how difficult and intractable they are! A gift for you, and an SO from The Bronze!http://www.sweettreasures.com/Merchandise/Fabric/Liberty/liberty_1.htmhttp://pendletonwoodworks.com/libertyaccollection/http://www.christabels.co.nz/http://www.carolharrisco.com/printedlawns.shtmlStart with carolharrisco first, I think.When you see it, buy it: apparently Liberty isn’t going to distribute in the US any more, AND it has increased the minimum order that small businesses need to make, so it is going to get harder and harder to find. Oh, god, thank you! Thank goodness I have an excuse to go to London every couple of years … I’d better start saving now. Alyson’s dress was by Reem Accra, a designer I’ve never heard of.I love that Liberty print. I have a weakness for paisley. Oh, Reem Accra. I have heard that name. 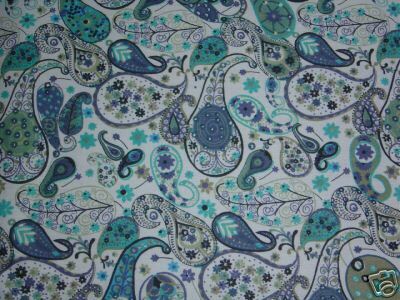 And doesn’t *everyone* have a weakness for paisley? Oh, if only I’d known! I could have bought you some when I was there last month. I bought myself a lovely bit of cotton with blue roses on a yellow background and my girlfriend bought a turquoise blue cotton with a pattern of peacock feathers in slightly darker turquoise. Gorgeous stuff!! Josephine’s dry goods link in Portland, Oregon carries Liberty fabrics. If in Los Angeles, you could try F&S Fabrics on Wilshire, between Century City and Santa Monica. They used to carry it, many years ago. Beautiful dress, beautiful couple, with beautiful smiles. Why isn’t Alexis working? I want to see him in things! Oh, someone beat me to it. Anyway, my mad Google skillz found it at http://www.newsday.com/entertainment/tv/ny-emmyfashion0919,0,5166097.story?coll=ny-television-headlines by doing a News search on “‘alyson hannigan’ emmy wearing”. I knew that I loved your blog and that I thought you were totally snarky and cool, so I dont know why it surprises me that you are a Buffy fan, but Im delighted. Reem Accra does a lot of wedding dresses like ML or Vera Wang. She’s from the Middle East and is famous for her embroidery and over the topness.”As for newcomers, top awards should be given to Alyson Hannigan (of this season’s new show, “How I Met Your Mother”), looking fab in a neutral Reem Accra strapless studded with multicolored gems.”Gorgeous isn’t it? Even some boys dream of Liberty and Paisley prints : I was so glad to finally find a shirt printed with that kind of stuff. Sonia Rykiel for men was definitely NOT fitting my budget.